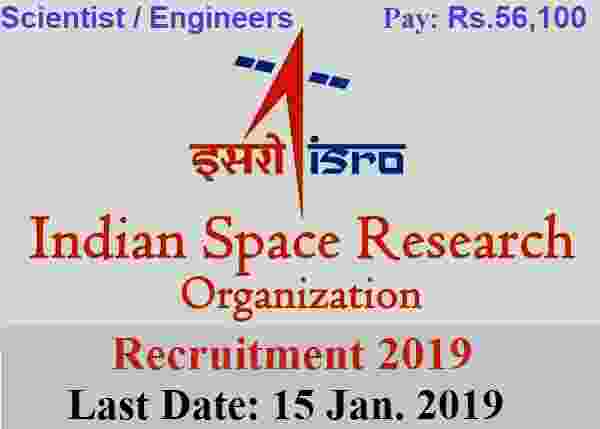 ISRO Recruitment 2019 for Scientist/Engineers posts. 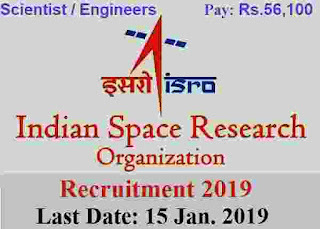 There are total 18 vacant positions which are going to filled up through this Indian Space Reacher Organization recruitment process 2019. Indian Space Research Organization/Department of Space Centres/Units are involved in Investigation and Expansion events in growth of Space Application, Space Science and Technology for the advantage of society at large and for serving the nation by achieving self-reliance and developing capacity to design and build Launch Vehicles and Communication/Remote Sensing Satellites and thereafter launch them. The Civil Engineering Programme Office (CEPO) at ISRO Headquarters, Bangalore and Construction and Maintenance Division (CMDs) located at various ISRO Centres/Units are responsible for planning, design, construction and maintenance of all ground based structures, buildings and associated utilities to cater to the Space Programme. More information related to this ISRO Recruitment 2019 is given below in this article. Read the whole article carefully before applying these Government jobs under ISRO department. Educational Conditions: Those who have completed their Graduation degree with 60% marks under engineering stream can apply for this ISRO Recruitment 2019. That means those who have completed BE/B.Tech course with 60% marks are eligible to apply these Government jobs. Age Bond: Applicants whose age is less than 35 years can apply for these Government jobs in India under ISRO department. Paying Method: Candidates can pay the above application fee which we mentioned in the above table through the following mode: “ Credit Card/Debit Cards/Net Banking or SBI Challan”. Choose one of these method for the payment of the application fee. 26TH Dec. 2018 is the Start Date to apply. 15th Jan. 2019 is the Last Date to apply.